Two Recording Connection students are having an amazing time learning advanced music production techniques and building a composition from start to finish under the mentorship of legendary producer and Recording Connection mentor, Adam Moseley (Beck, Nikka Costa/Lenny Kravitz, John Cale, Wolfmother, Spike Jonze, U2)! It’s all happening thanks to Fender who is sponsoring tuition for the two recipients, electronic music producer Fay Garrison and audio engineer Uriel Soto Jr., both based in Los Angeles, California. Recipient Fay Garrison is deeply appreciative of the opportunity to add to her arsenal of music production knowhow through training with Adam Moseley. Fay’s background in music springs from a lifetime immersed in classical music. After spending nearly a decade at the USU Youth Conservatory, where she started at the age of 8, Fay went on to study piano at Western Oregon University. While there, her musical destiny changed when her brother introduced her to European-based alternative electronic project, VNV Nation. Paired with her interest in science fiction, Fay’s move towards electronic music production has given her a newfound perspective on the many possibilities within the electronic music sphere. Thanks to Recording Connection and Fender, Fay is now channeling her rich extensive musical abilities into creating new music and pushing the boundaries of the ever-expanding genre. 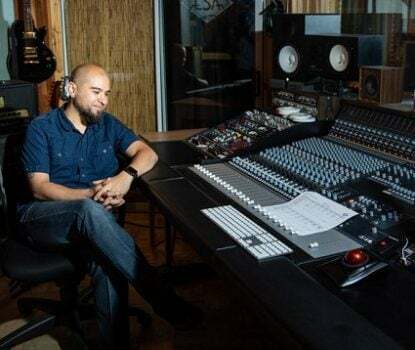 How Uriel Soto Jr. Got Hired at ES Audio! Scott Johnson Hired at Infinite Music in Boston! #MeAudio Women Get Working in Audio! On the Move–Gordon Maniskas Pitches Film and Lands first film job in Los Angeles! Geeks Out and Gets In! Mariah Carey records at Recording Connection mentor Chung King Studios!